So last month, we talked about a new dog food that is available at PetSmart: Wellness® CORE® RawRev™. 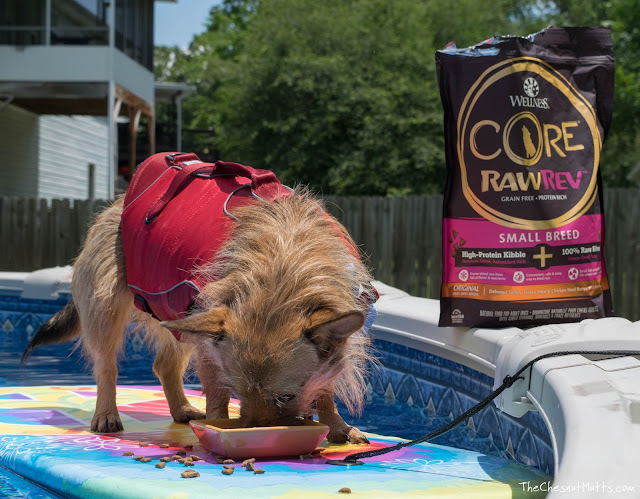 It is summertime over here in Rome, Georgia, and we want to share how we keep cool and active while staying healthy with CORE RawRev! "This is what awesome looks like"
You might have seen in our last post that we mentioned that Jada has a new hobby- surfing! She really enjoys it, but it takes a lot of energy so having a good, high-protein meal beforehand is essential. The protein and the nutrients provided by the grain-free kibble and freeze-dried raw meat pieces in RawRev keep her muscles and joints in tip-top shape! "I love my boat!" "Hey, I thought we were focusing on me!" Bailey was feeling left out, but she doesn't like water one bit. So I decided to get her a boat so she can lounge and sunbathe. This mutt loves the sun! She will actually lie down in her boat to catch some Zs. 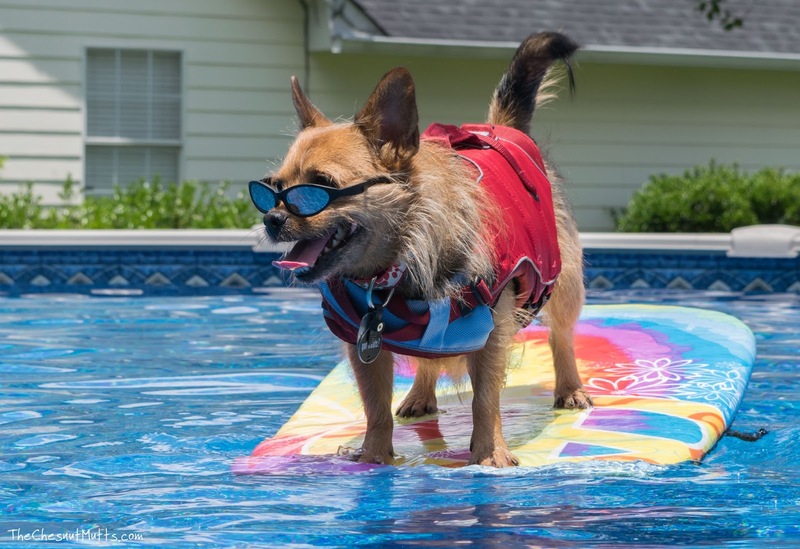 You may ask yourself, "How do I get my dogs to like water like that?". Well, it was a long process, but let's go over the basics! So with any new activity with your dog, you need to use baby steps. Use a high-value reward (like the freeze-dried meat in CORE RawRev kibble) to introduce your dog to water with small gradual lessons: start with getting their feet wet in the tub then make your way to your dog wearing a life jacket in a tub full of water. Once they seem comfortable indoors, bring them outside, but only for short periods until they are comfortable, and don't forget your high-value reward. Every small victory deserves a tasty treat! "Stocked up just in case we get stranded"
Of course, every dog is different and there are more steps involved, but getting a toddler boat for the less water enthused pup or boogie board for the adventurous hound is a great way to get out, stay cool with the occasional dip in the pool, and also work those muscles that control balance! Break time! Surfing can be tiresome so while you are using the raw bites as high-value treats, you can feed the whole deal, kibble and all, for meals before and after. 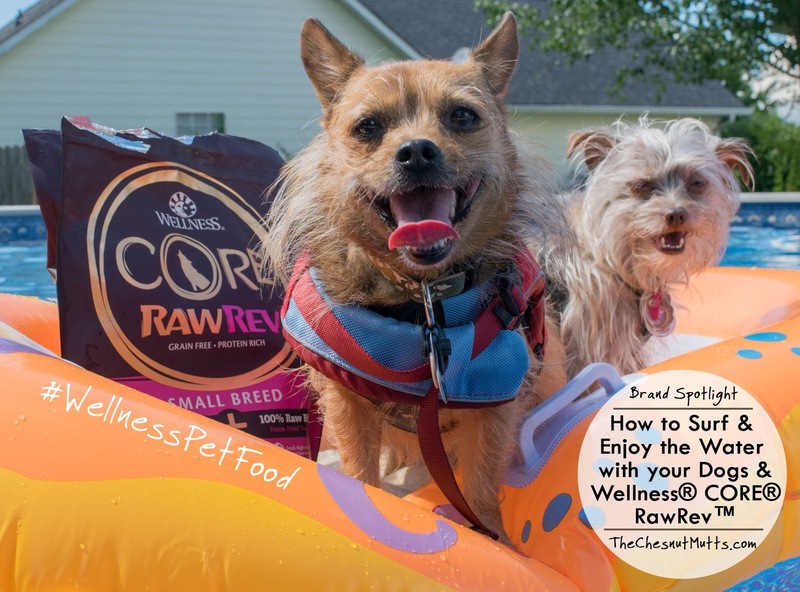 What is awesome about Wellness CORE RawRev is that you get some added nutrition from feeding the freeze-dried raw meat in addition to the kibble and it is so easy and safe! Featuring the "Bailey Stink Eye"
Usually near the end of our surfing and sailing in the boat, I pick up a dog and we swim some laps. This isn't always seen with excitement, but the Wellness food incentive is great and this works with their food to tone their muscles. Want to try Wellness CORE RawRev and save big this summer? 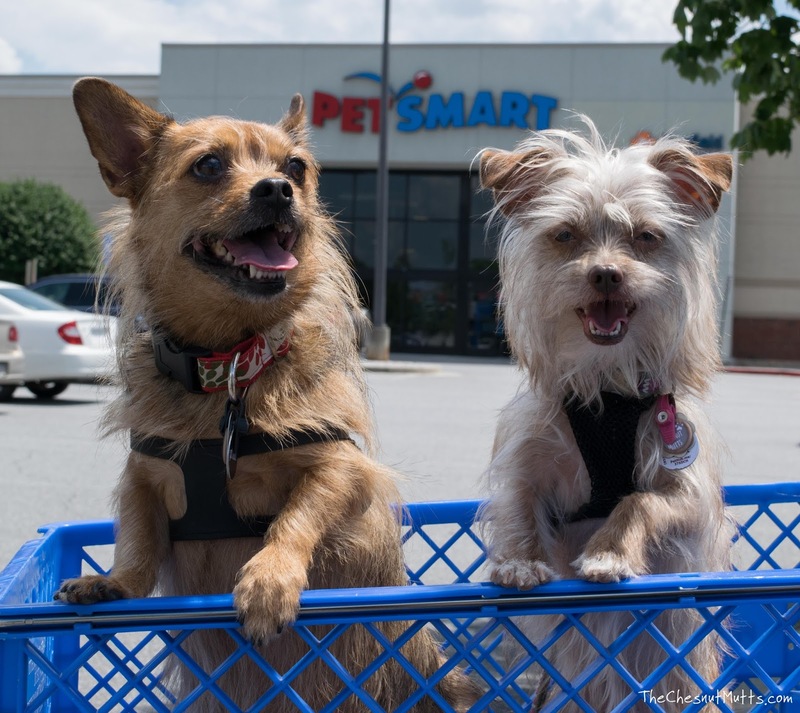 PetSmart has an awesome BOGO offer where you buy one 2-5 pound bag, and get one 50% off! This is a great opportunity to stock up or try and join the Raw Revolution yourself. 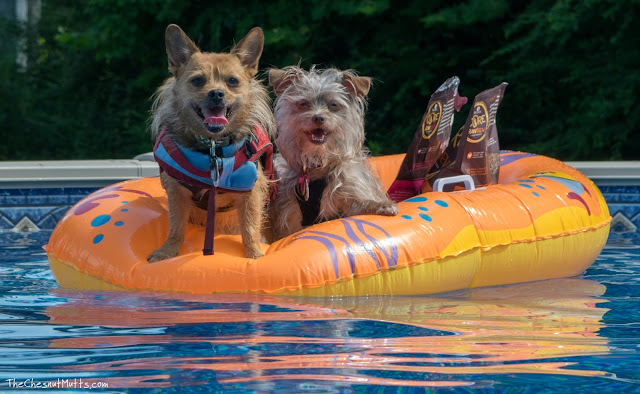 You know we took advantage of this deal and we want our Chesnut Mutt family to get in on it too! 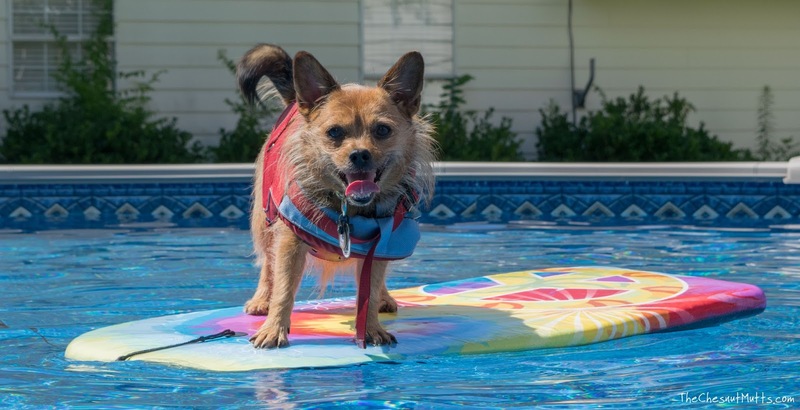 What kind of activities do you do with your dog during summertime? "I really like my boat. Thank you, Mama"
Summer can be brutally hot here, so we generally spend a lot of time indoors during the day. But in the evenings, I take my Tiny (a Terrier mix) out for long walks. If we had a pool, I'd have to give surfing a shot! Tiny must be part fish because she naturally loves the water. Also, I will say, one of the best things to happen over the last several years is the increasing number (and better availability!) of natural and organic pet foods. I have to agree with Susan on the natural and organic dog foods. It's great that owners are feeding their pets with better and healthier food and that products like this are more widely available these days. Jada's Birthday Bash Giveaway - Over $1000 in Prizes! 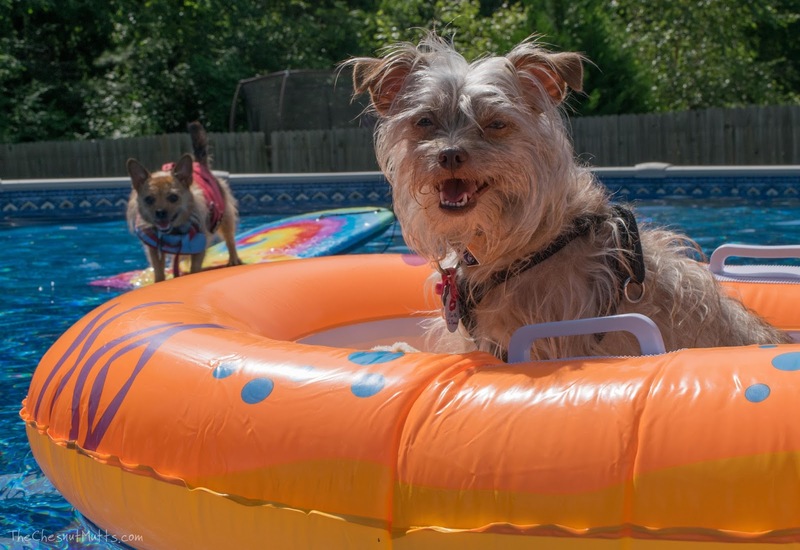 The Chesnut Mutts' 2nd Blogiversary Giveaway! 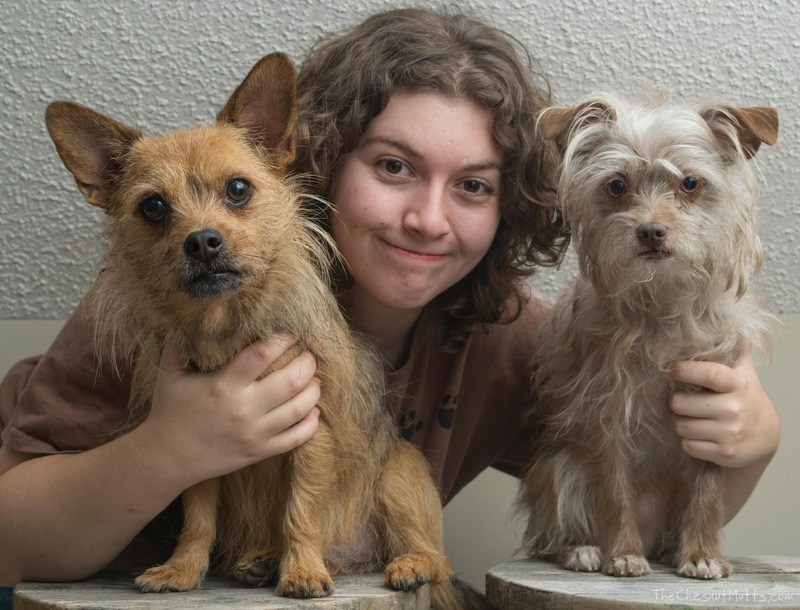 Hi my name is Abby Chesnut and here at The Chesnut Mutts we provide you with product reviews and giveaways to help you choose great products to use and give to your pets! All site content copyright © "The Chesnut Mutts" 2014-2019 unless otherwise stated. Awesome Inc. theme. Powered by Blogger.